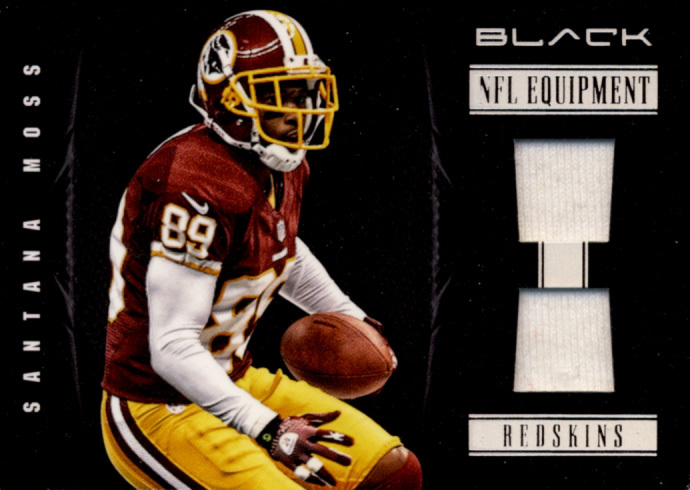 Black has been the signal that Panini is putting out some specialty cards with Black boxes and Black Friday cards being sought out by collectors. 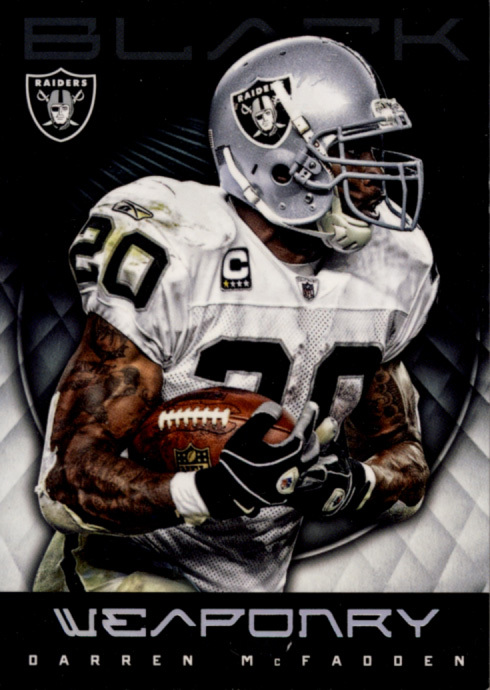 Now we have a set accessible to all collectors with 2012 Panini Black Football cards. 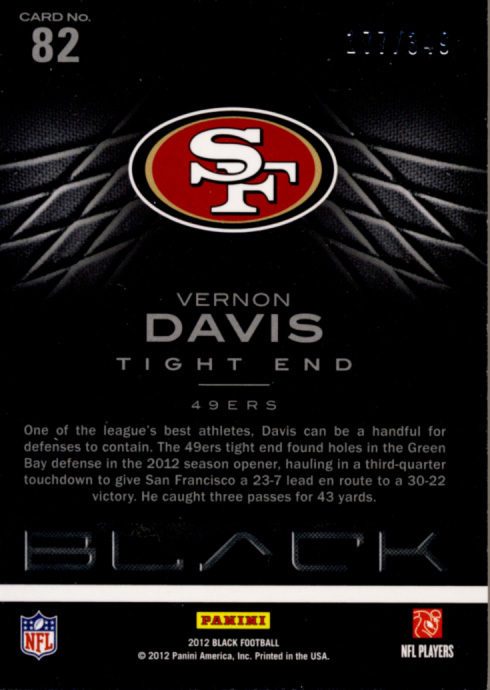 As with other cards that are black edge-to-edge, issues with chipping and noticeable edge wear are always a concern. 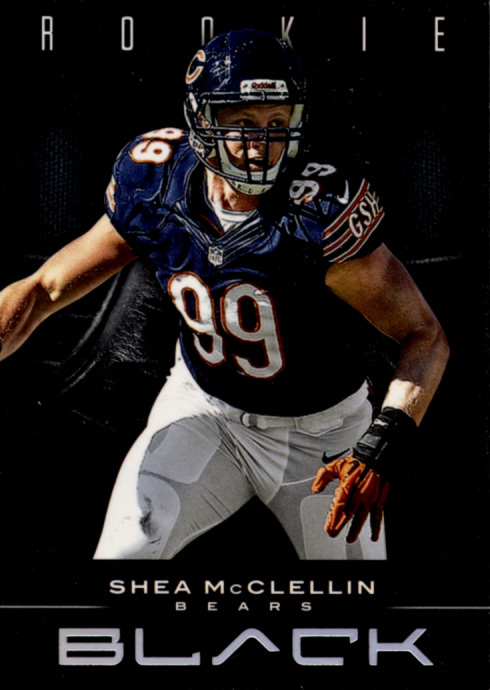 While Panini Black is not immune, from the box we opened, these issues seem to be at a minimum, which leaves you with some gorgeous cards and some great potential pulls. With all cards being numbered to 349 or less, it seems these cards should at least retain their value if not increase over time. 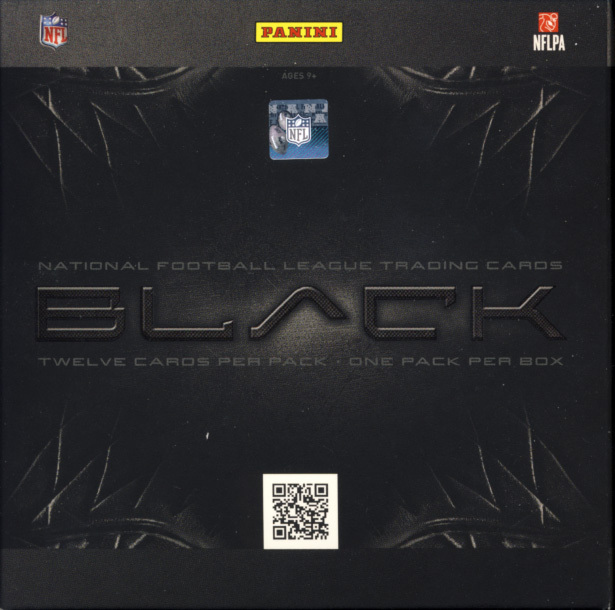 Panini Black Football fits into our premium cards category. 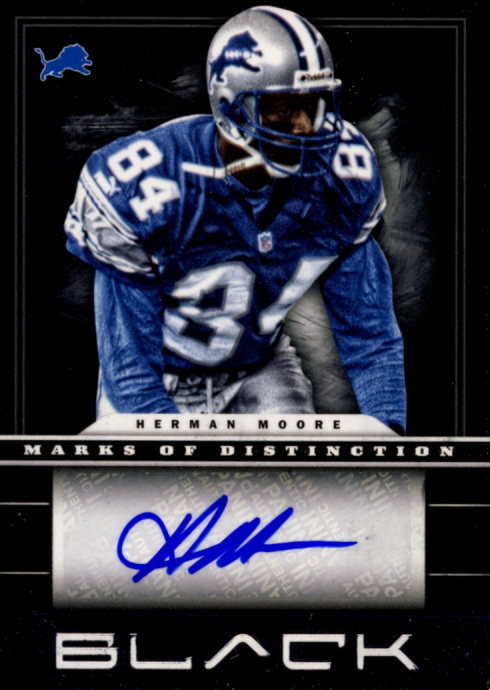 Each box contains1 - 12 card pack with Five Autographs or Memorabilia cards with at least three autos. Here are all of the cards we pulled. 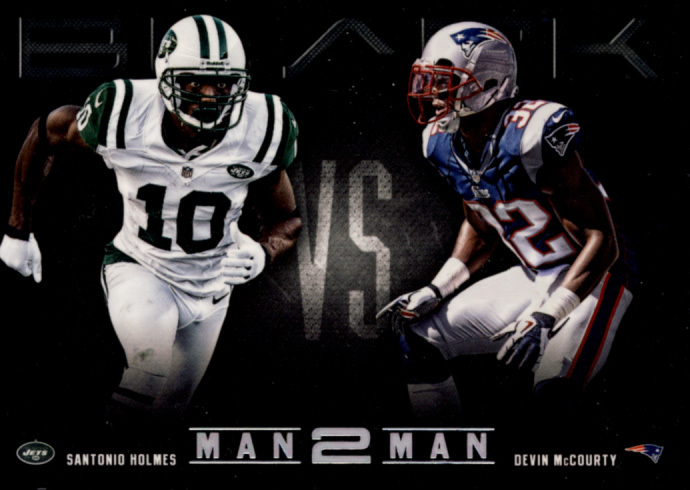 The base card design here is very strong. 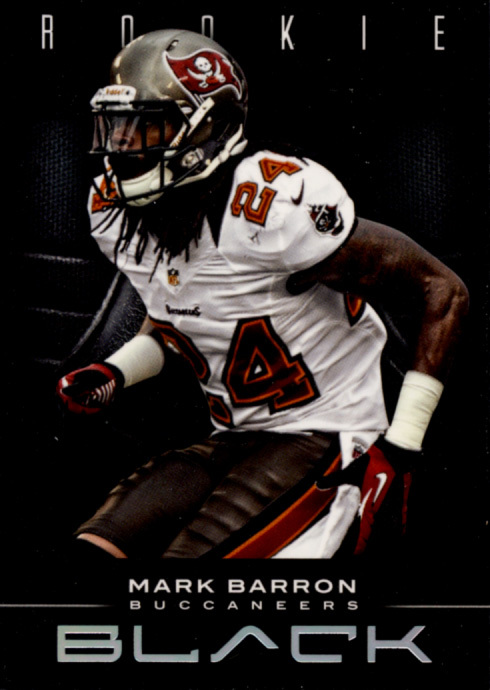 Just like the simple, stylish logo these cards are modern and sharp looking. 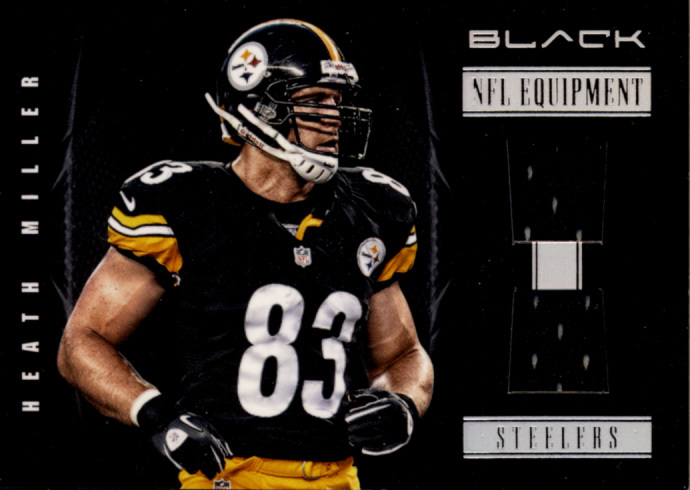 Patch swatches on NFL Equipment cards are a little narrow, throwing the balance of between the player picture and the memorabilia. All other hits are a feast for the eyes. 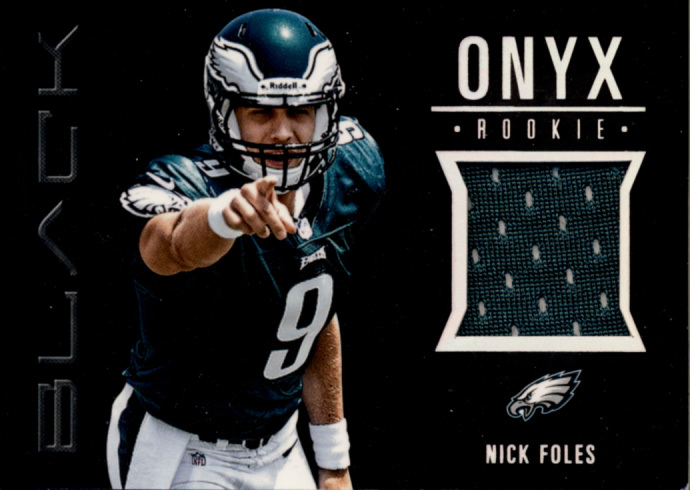 At 100 great veterans and 100 rookies this is a pretty good checklist. 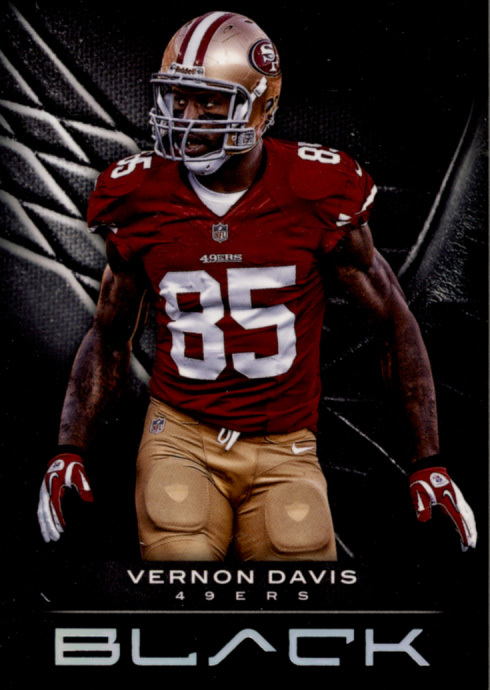 For collectors seeking retired legends of the game will be looking for the lowered numbered, higher end hits. There is a really nice variety of hits to be had here with some really big ones to pull. 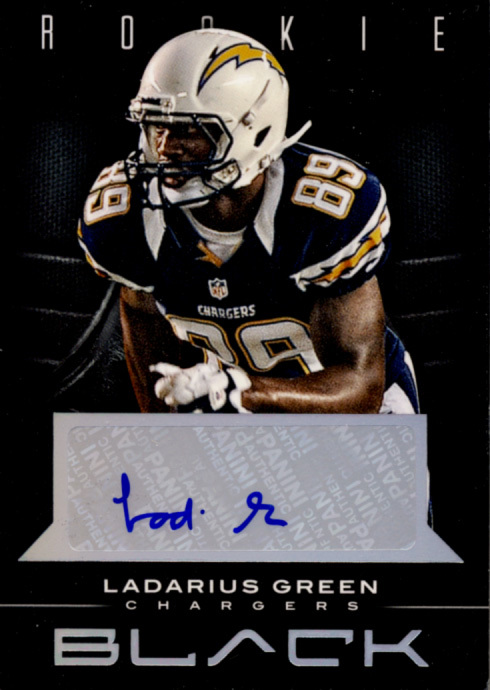 The wide range of rookie autos outside of the 36 premiere rookies might not be as desirable as the Lucks and the RG3s but there seems to be enough that works for now and those rookies could be big in the future. 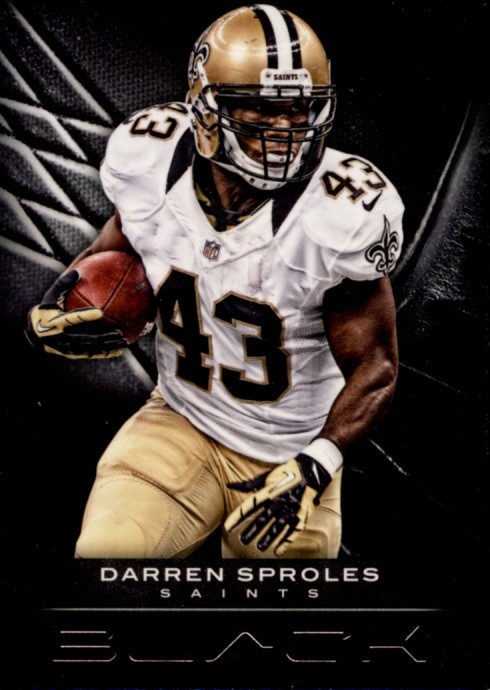 All cards here are numbered from #/349 or less so even base cards will satisfy hit collectors. This is not an inexpensive box, but multiple purchases is easy to see. 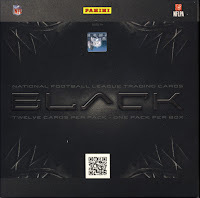 2012 Panini Black Football is a great set of cards, especially for an introductory set.